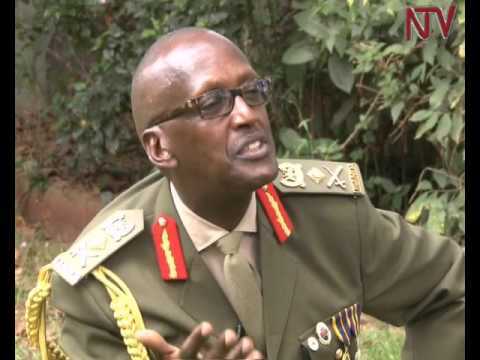 After being laid off some two months ago from being Security Minister, Lt. Gen. Henry Tumukunde, has come up for air again. This time he has commented on two important points; that all the well-meaning politicians, security and intelligence staff should pay close attention to. The first is reconciliation. He drew the attention of President Yoweri Museveni and Dr. Kizza Besigye to the political truce which Kenya’s President Uhuru Kenyatta and Opposition leader, RailaOdinga, signed a fortnight ago, burying the hatchet of their politicaldifferences. Had it been done earlier, it would probably have led to the saving of the more than 70 people who were killed as a result of the fallout from the fractious general election. It may not be the ideal situation for either of the politicians, but it marks a turn-around that saves the people of Kenya from all sorts of undue suffering due to the differences that have spawned sharp tribal profiling. There are those, of course, who will be quick to point out that this is not Kenya, but let them be reminded that uncomfortable rapprochement is better than painful megalomania. The second thing Tumukunde ticked off; is heaping the emergence of all types of criminality on the shoulders of the Muslims as a community. This has to be put on the phenomenon of Jamil Mukulu and the Allied Democratic Front (ADF). Until Mukulu was arrested – and even before – we were, and are now, used to being told that the ADF is “finished”. Indeed, at one time the security information passed around was that the ADF had only 20 surviving rebels. Even President Joseph Kabila of the Democratic Republic of Congo, from whose territory Mukulu was operating from, alluded to the situation of the ADF demise. So,if they are finished, why bother us with “Muslimterrorist” resurgence. Tumukunde admitted that he had been in intricate situations where he was able to sift the criminal chaff from the regular law-abiding Muslim citizens. It has to be mentioned that, it was under his authority that the Internal Security Department was able to trace and arrest Abdallah Kitatta, of the notorious Bodaboda 2010. And it was not as a terrorist, but from the alleged murder of the Case Clinic Accountant, Francis Ekalungar. The ramifications from this success admittedly led to the discovery of the bean weevils in the Police Force; and to the cleaning exercise that it is currently being put through. This is a meaningful attitude towards regard for the nation and its citizens. If one has a narrow and singular look at their participation, influence and leadership, the inevitable outcome is that he/she will only consider those aspects of national application that are favourable to his/her lame understanding and imagination of, anyand all, the situations that may arise. Perhaps, that kind of ideological disorientation has led toone section of society alienating the other sections. This is a doctrinaire and obscurantist view that politicians should avoid.